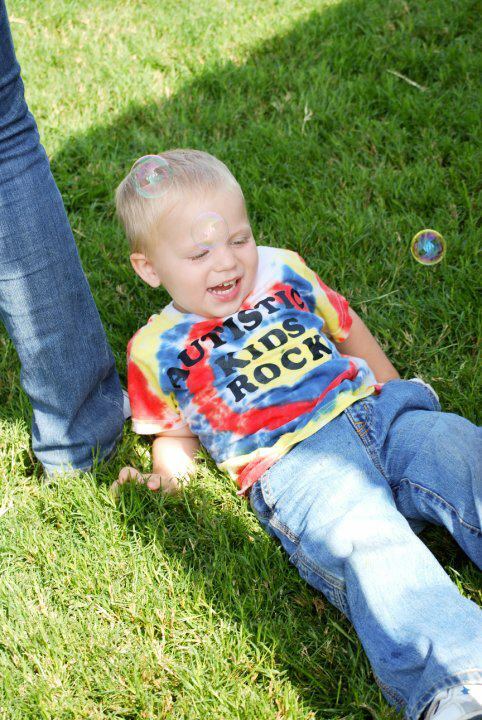 Today is Autism Awareness Day, the kick off to autism awareness month. Being the mother to an autistic, this is a subject that is near and dear to me. Each year, on this day and throughout the year, I strive to find the words to clearly express my thoughts. And each year I find that passion growing. You see, as my son grows older his autism becomes more and more obvious to the casual observer. When you're two, three, even four years old 'tantrums' are normal. Sure, you might get a few dirty looks when they happen publicly, but in general people tend to be more understanding. When they reach double digits, that understanding tends to go right out the window. At 10.5 years, people expect good behavior, they expect no meltdowns, they expect ability to pay attention, they expect regards to safety, they expect two way conversations to come easily. All of those behaviors that people give a pass on when they are younger, don't get a pass as they grow older. And that's from adults. For kids, they start to realize those differences more. Perhaps they always do to some degree, but once we hit those preteen years, we find more judgement is passed. Kids might not understand autism, but they understand that something is different, and many don't want to be friends with a kid they don't understand. And let's be honest, they pick up on the judgement that they see adults passing upon those kids too. Likewise, many autistic kids can start to pick up on this as well. Maybe not entirely, but again to some degree they start to realize that they are treated differently by their peers. And that can be tough. I see this with my son as he struggles to make friends. There is nothing more devastating for a mom to hear than 'No one likes me' from the mouth of a 10-year-old. Or to hear his teachers saying that many of the kids are afraid of him. It truly is an awful feeling as a mother. Imagine that as a child. There is nothing I want more than to shout out, "My kid is amazing! See him! Accept him! Love him!" Unfortunately, it's not that easy. We still have so far to come when it comes to awareness AND acceptance. Autism Awareness Month has officially arrived. Some of you might think--- do we really need awareness still? Aren't people already aware? NO! Sadly they are not! We wouldn't get dirty looks and whispers 'behind our backs' when public meltdowns occur. We wouldn't have grown men yelling at MY child for things out of his control. 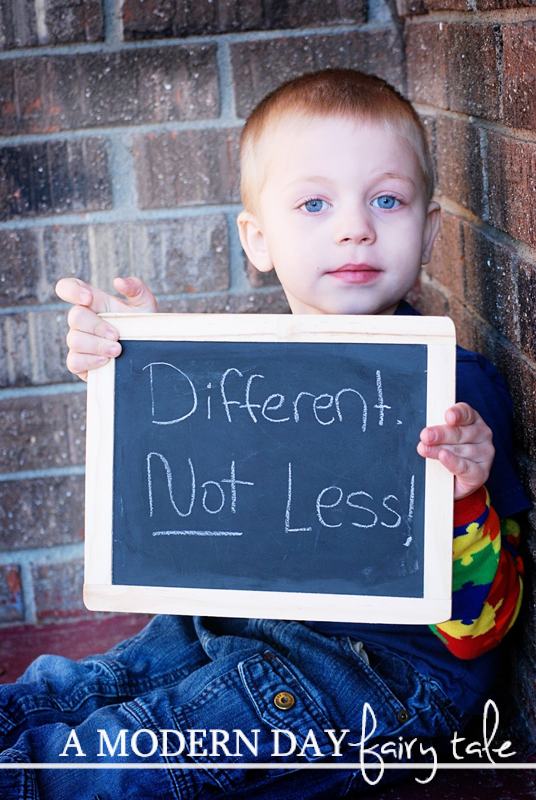 We wouldn't have children bullying and excluding a child because he is different. We would be able to participate in extracurricular activities without fear of judgement and wondering what is being said behind our backs. There would not be news articles by the dozen about autistic students being assaulted by peers, parents murdering their children or higher rate of suicide/ suicidal thoughts among those with a diagnosis of autism. Awareness is still very much needed! But beyond that so is acceptance! We need to teach our children at a young age to accept all people- regardless of their disabilities. We need to remember that autism is not a tragedy, just running on a different operating system!Different, Not Less.